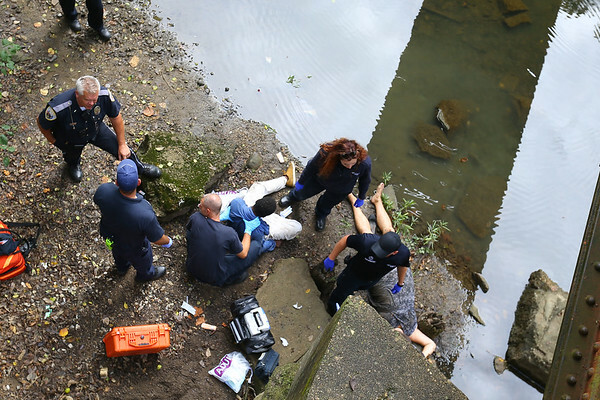 Kokomo police and fire along with medics respond to three people found unconscious by the Wildcat Creek under the railroad bridge behind Future Park on October 10, 2017. One person was able to walk up the hill on their own the other two had to be carried then taken to the hospital. They were both conscious but not too responsive.